It’s not only the 100th anniversary of Armistice, now Veterans, Day, it’s also San Martino, an autumnal feast day in Italy that celebrates not only the fourth-century patron saint of beggars, but also the maturation of new wines. 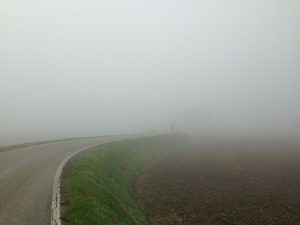 The great Giosuè Carducci also wrote a poem describing a typical foggy fall day around this time of the year in northern Italy, which deserves quoting in full and in the original. Carducci moved to Bologna at age 25, where he surely became acquainted with the pervasive northern Italian nebbia, which gets more intense the closer one goes to the Po. While there, he lived on via Broccaindoso, where, it bears mentioning, there is a pretty decent osteria, if you’re in the neighborhood. With thanks to SE for reminding me of all of this, and for introducing me to his poetry. 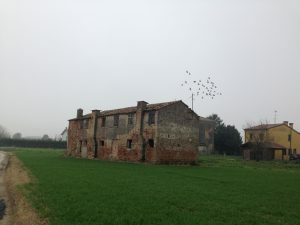 This entry was posted in italy, poesia, veneto and tagged italian poetry, poesia italiania. Bookmark the permalink. I love the poem! I wish I could go to that osteria tonight.